Thursday 8th November 2018. 9.30am – 4.30pm, EventCity, Barton Dock Road, Manchester. Theraposture will be providing information and advice regarding its charity partners – Emergency Equipment Loan Service at Kidz to Adultz North. Theraposture works with Newlife to loan adjustable cots and beds to children who are at serious risk of injury or in urgent need due to shortened life expectancy. This service is free, unique and following an OT assessment, can usually provide a solution within 72 hours. “We have successfully supported Newlife for several years and assisted many families in desperate need. Newlife’s Emergency Equipment Loan Services provide a crucial solution in often sensitive and urgent situations – our specialist height adjustable cots and beds help care for disabled children and allow parents to assist at safe working heights. Our quality safety padding is renowned for protection and is available with a variety of fun, reassuring patterns. There will be free information on stand B10 which outlines Newlife’s Emergency Equipment Loan Services, Theraposture case studies and cot funding guides. Theraposture will also be demonstrating two future-proofed Mascot Mk2 cots. The Mascot is a quality, fully modular solution that provides adaptability to solve changing user needs, negating the purchasing of new cots in the future. Encompassing variable height, mattress profiling and anti-Trendelenburg / Trendelenburg positioning, it is the only cot that provides 4-8 door access flexibility on both sides. As with our entire cot range, the Mascot meets all relevant safety standards, come with a fully inclusive 3-year warranty and a 14-day Suitability Guarantee. Mascot cots are held at Theraposture’s factory for fast delivery. The trusted Theracare bed will also be on the stand – a proven and safe adjustable solution for young adults. 16 th November: Kidz to Adultz North, Stand B13, 9.30am – 4.30pm EventCity, Barton Dock, Road Manchester M17 8AS. Since 1981, Theraposture has provided quality power-assistive beds, chairs and cots that are built to the highest of standards. Every handcrafted solution delivers exceptional long term value and is backed up by impeccable service and after-sales support. Our Trusted Assessors work closely with OTs and families so the most appropriate sleeping solution is supplied every time – backed up by a 14-day Suitability Guarantee and comprehensive warranties. This considered approach is enhanced by the provision of free educational material that helps professionals and parents make more informed decisions re cot provision. Printed copies of this material will be available at Kidz North along with downloads via the new Theraposture website. In terms of products at the show Theraposture will be demonstrating a selection of height adjustable and profiling products from its proven range including the Mascot cot. 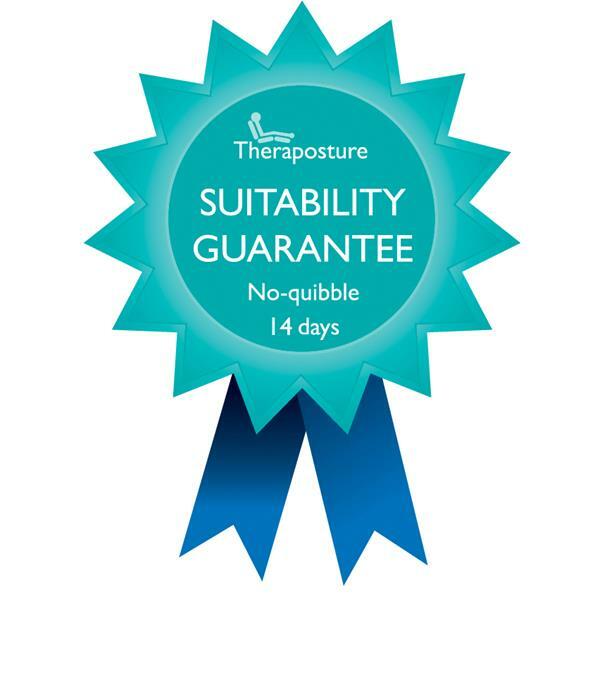 Part of the extensive and trusted adjustable cot range from Theraposture, the future proof Mascot is the only fully flexible sleeping solution that can save money by adapting when needs change. 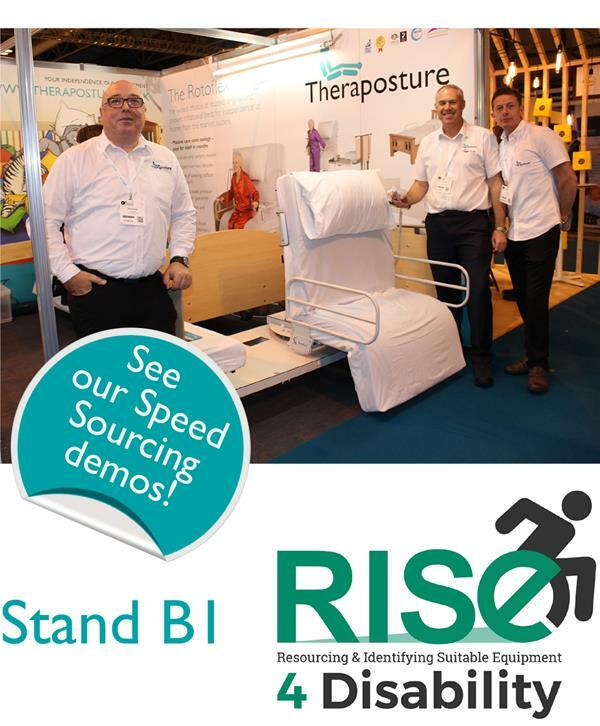 Theraposture, the trusted specialist in adjustable beds and care cots for disabled children, will be offering vital guidance regarding funding and demonstrations of its latest Mascot cot at Kidz-to-Adultz-South. Thursday 8th June 2017, 9.30am – 4.30pm, Rivermead Leisure Complex, Richfield Avenue, Reading, RG1 8EQ. Stand 313. Organised by Disabled Living, Kidz-to-Adultz-South provides a free and friendly opportunity for parents, therapists and carers to test and compare the latest products and services for disabled children and young adults. As one of the most popular exhibitors at Kidz, Theraposture will be demonstrating examples from its quality range including a Theracare adjustable bed and the latest version of its future-proof Mascot care cot. The new Mascot with 120cm high-sided doors will be launched at the show as it provides the ideal solution to keep older children and young adults safe and reassured. It is handcrafted with a range of door inserts such as safe soft Perspex and colourful rails that provide a welcoming space that is not visually enclosed – ensuring clear engagement with carers and parents. As with all Mascots, this latest version negates the need to purchase a new cot in the future – it can be adapted to meet changing needs and hence provides the most cost effective solution available. Alongside product demonstrations by friendly Trusted Assessors, Theraposture will be offering guidance documents about ‘funding routes and your rights to the correct solution for your child’. Supported by their partner charity, Newlife, this information explains possible funding options through statutory services, charities and private purchases. It also highlights the equipment loan scheme from Newlife and key features of the Care Act that stipulate the rights of every child in terms of assessment and equipment provision. Theraposture and its power-adjustable Mascot care cot have received positive feedback from families and disabled children visiting Kidz-to- Adultz-Middle (16th March 2017, Ricoh Arena, Coventry). Theraposture showcased a selection of paediatric products from its quality adjustable bed range including a high sided Hannah cot, Theracare Low adjustable bed and future proof Mascot cot. The electrically powered Mascot is the only variable height cot that provides complete flexibility as it can be adapted to suit changing needs. When a child grows and develops the Mascot can be reconfigured with different access options, door heights and design features – a cot for life that negates the need to purchase a new bed in the future. This cost effective, future proof cot is the assured solution that provides a visually open space that is safe for children with challenging behaviour or specialist support needs. It can be specified with Theraposture’s precision-fitted padding and a choice of door inserts ranging from coloured rails to Perspex – all helping to provide a safe space that is not enclosed. The Mascot continues to make a huge difference to the well- being of disabled children whilst delivering peace of mind to parents – once again reiterated by families visiting Kidz-to- Adultz-Middle. Kidz South is the second of four regional events organised each year by Disabled Living. They provide free opportunities for parents, families and carers to test and compare the latest products and services for disabled children. Alongside other specialist suppliers, we will be demonstrating our power-adjustable Mascot Mark 2 care cot, Theracare low bed and high-sided Hannah cot with highly regarded Theraposture safety padding. Our latest Mascot is the first and only fully modular cot in the UK that provides complete flexibility to meet the changing needs of a disabled child. It is a ‘future-proof, whole life’ solution that eliminates the need to purchase and specify new cots if care requirements develop in the future. As its configuration and design can be changed or modified over and over again, it represents the most cost effective concept ever. The Theracare low bed also provides a highly beneficial care solution. It is a variable height and profiling bed with the advantage of low access – ideal for keeping individuals safe that are prone to falling out of bed. As the bed can be raised to a comfortable working height, carers and parents can also attend to children without the worry of back or muscle strain. Our Kidz South showcase is completed by a 135cm tall Hannah cot. This impressive and spacious cot provides a safe and welcoming space for challenging children through a clever and attractive design. Features include innovative door locks, electrically operated variable height and/or profiling and attractive safety padding. We would like to welcome all visitors to Kidz South onto our stand, 313, see you there!